This history is adapted from a talk given at our AGM in March 2005. Green Belts were necessary because London and other major cities kept on expanding. Something had to stop the countryside being concreted over. It has been said many times that once an open space has been built on it will almost certainly be lost forever. 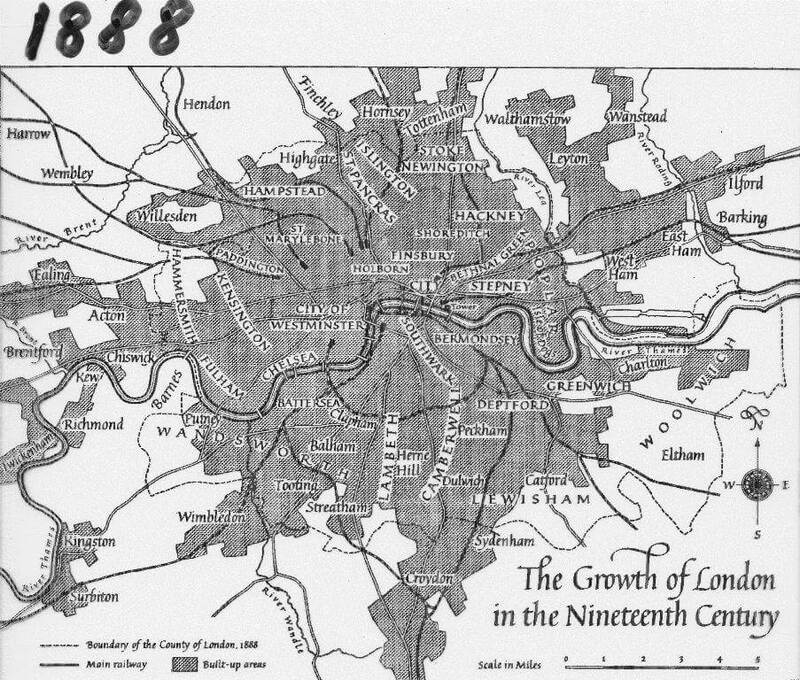 We will illustrate the growth of London with some pictures and maps. When the Romans invaded Britain for the second time in 43AD they needed a port on the Thames which was suitable for a bridge and was sufficiently upstream to weaken the effect of the tides. 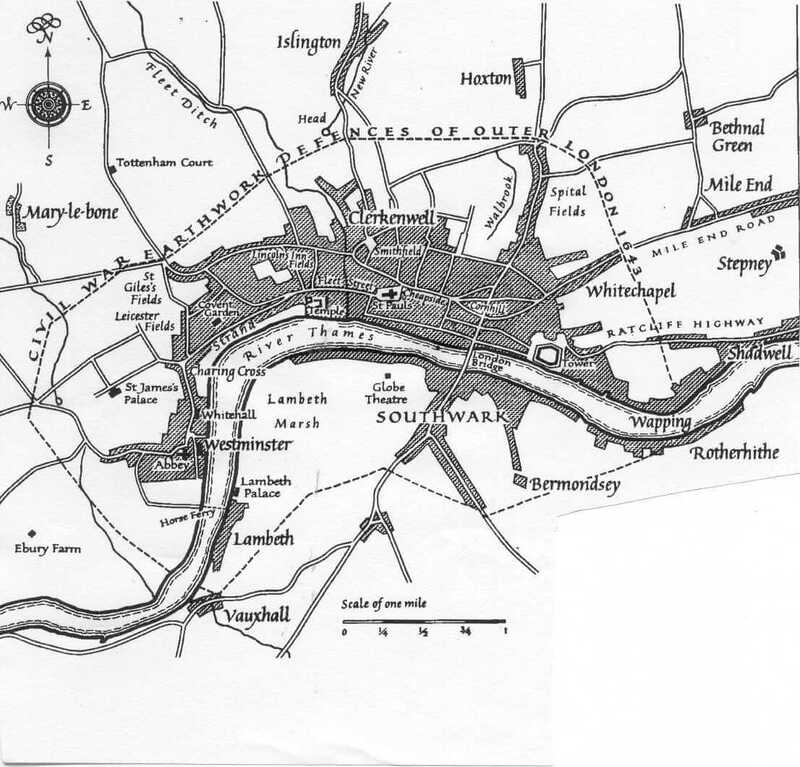 Londinium, as they called it, had gravel beds and fresh water available on the north bank, but the south side was prone to flooding. 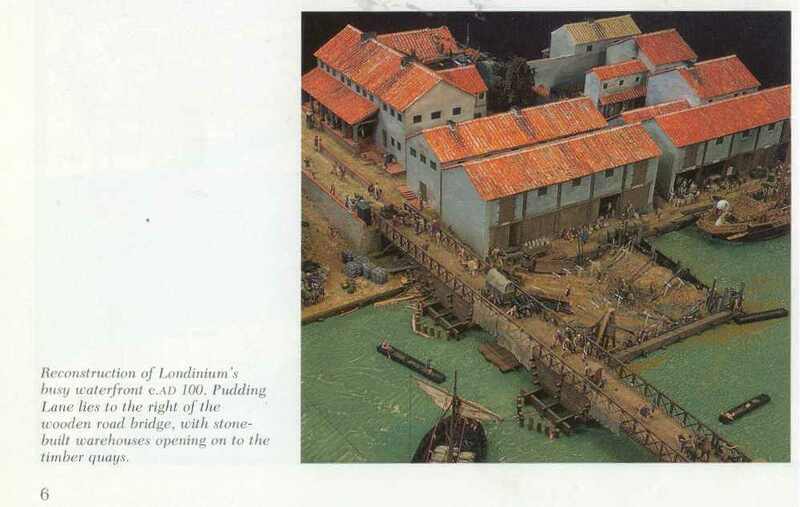 Our first picture shows a model of how the original London Bridge looked in Roman Times, about AD100. Roman London about the year 250AD. To protect the town from attack, the London Wall was built about 200AD surrounding the town except on the river frontage where it was built at a later date. The Romans occupied Britain until 410AD. The wall was about 6 metres high and 3 metres thick with a ditch about 2 metres deep outside the wall. Note the River Fleet which now flows in a culvert or tunnel below Farringdon Street, and there is just one bridge over the river Thames. The background to the picture is a street map of the roads today. Note the gateways in the wall. Until 1760 there were gates across the roads which could be closed. The gate to the bridge shows the location of the original London Bridge. Moving on to 1200AD, London’s population was about 10,000 with very few houses outside London Wall. There was still only one bridge over the Thames, and there are open fields separating London from Westminster. The river Fleet on the left of the picture is just outside London Wall with Fleet Prison also just outside the wall. 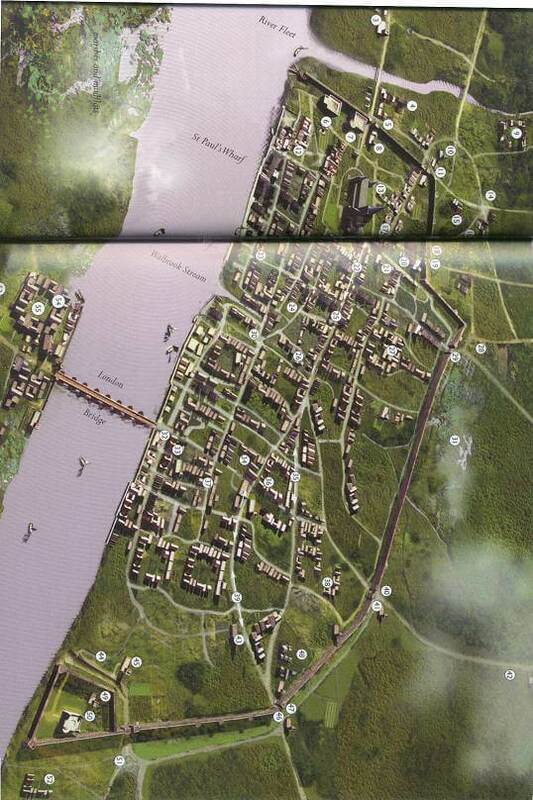 This shows London about the year 1600 in the late Tudor, early Stuart period. London had expanded beyond the wall, and the open fields had disappeared between London and Westminster. London’s population had grown from about 20,000 in the 1200s to 650,000 in the 1500s. This growth caused a major problem of supplying fresh water and the River Thames and numerous wells proved insufficient. In the 1600s the New River Co. was formed to bring water into London from springs in Hertfordshire to the reservoir at Clerkenwell. This New River still survives. During the reign of Queen Elizabeth, a law was passed in 1592 prohibiting the erection of buildings on new foundations within 3 miles (5km) of any gate in London Wall. Using modern language, only brownfield developments were allowed within a ring three miles around London Wall. This was in effect a Green Belt. No attempt was made to widen the roads in London even though they could not cope with the increasing volumes of traffic. Obviously they did not have someone like today’s Mayor of London, Ken Livingstone, or toll gates at the entrances to London, similar to today’s Congestion Charge. Even in those days there was also a problem of immigrants, and homeless people on London streets. During the next 100 years to 1700 there had not been a lot of expansion. There was still only one bridge over the Thames. Travellers had to wait until 1750 for the second bridge which was at Westminster, and then 1769 for a third at Blackfriars. 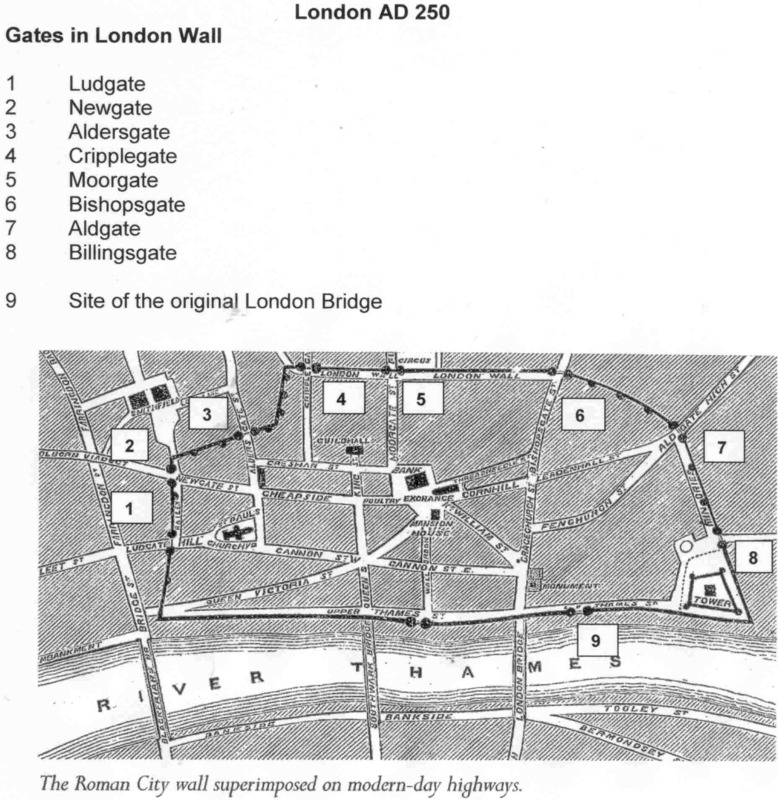 The gates in London Wall were removed in 1760 which helped relieve traffic problems. Buckingham House (now Palace) was in open countryside. Also Hyde Park and Bloomsbury were outside the built-up area. 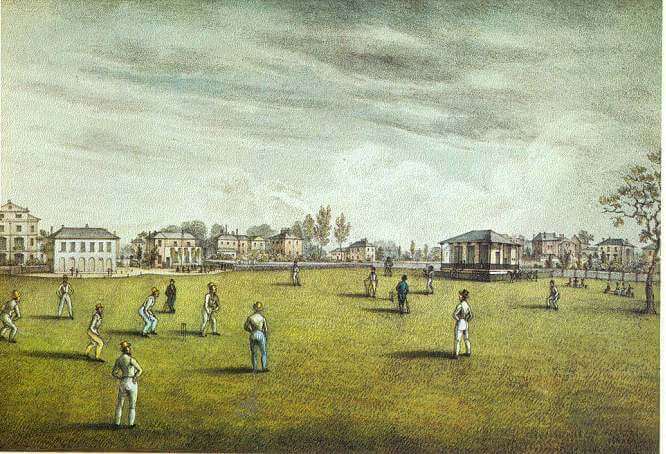 Moving on a 100 years, in 1830 the Lords Cricket Ground was a field and you can see the houses of St Johns Wood in the background. In 1820 William Corbett wrote of unchecked unorganised growth. He preferred small market towns such as Huntingdon with a population of 5,000. He said it was one of those pretty, clean, unstenched and unconfined places. It makes you wonder what life was like in London for him to make these comparisons. 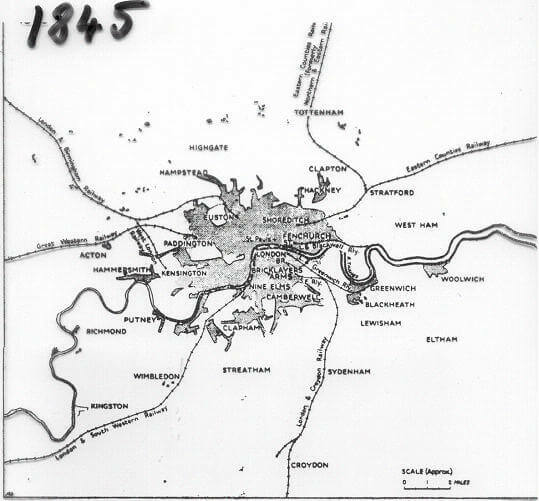 London in 1845. Until now people lived near to where they worked, and did not travel far partly due to fear of highwaymen. The stagecoach was the main means of transporting people apart from travel on horseback, or on foot. The invention of railways allowed people to travel safely and in larger numbers, so they could now live in one place and work somewhere else. The first railway line in the world opened in 1803 between Wandsworth and Croydon. A horse or mule pulled up to ten wagons on a railway track. This was 27 years before the first steam powered railway line in 1830 between Liverpool to Manchester. By 1888 the railways had enabled London to expand and all those villages had been absorbed into Greater London. The growth of London continued into the 20th century to include Wembley, Harrow, and Hendon. This shows the population growth of the County of London and also England and Wales. 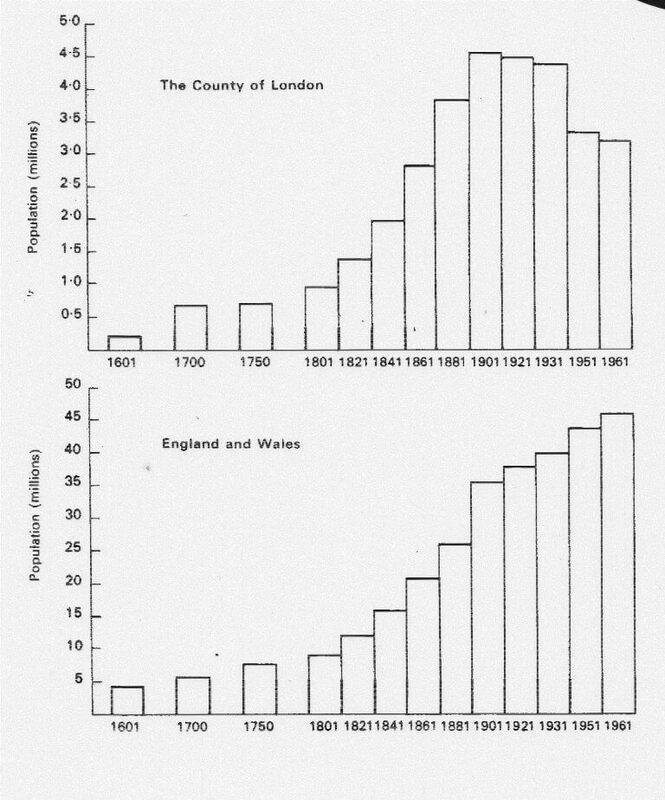 London’s population began to drop after 1901 when they started the slum clearance. In World War 2 many houses in London were destroyed, particularly in the East End because of the nearby docks. After the war eight New Towns were created outside the Metropolitan Green Belt including Stevenage, Harlow and Bracknell. This led to the huge drop in London’s population between 1931 and 1951. The figures are from the Census taken every ten years, which is why there are no figures for 1941 when we were at war. 1947 Town and Country Planning Act. 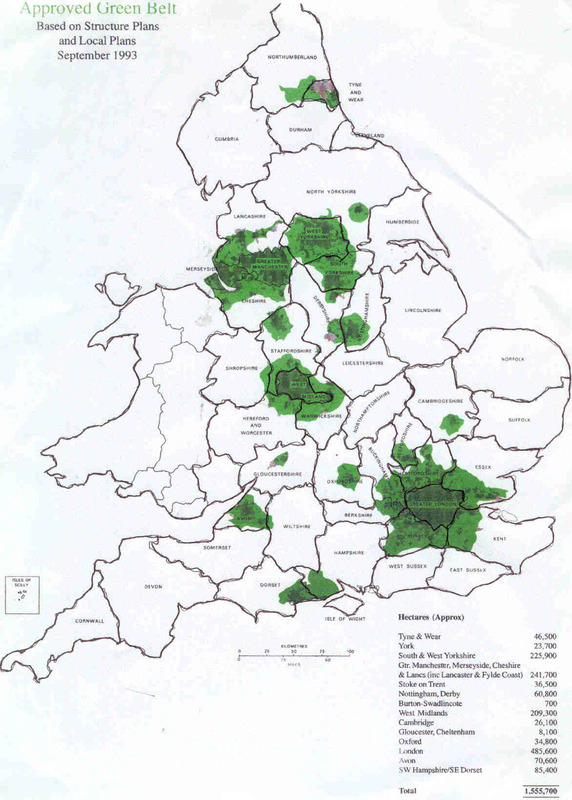 This required County Councils to have 20-year development plans with a map indicating the Green Belt 7-10 miles round London. The County Plans had to be revised every 5 years. 1952 Town Development Act. This Act enabled the re-housing of Londoners in overspill towns outside the Metropolitan Green Belt at such locations as Letchworth, Chelmsford, Bletchley, Aylesbury, and Swindon. There are 14 Green Belts in England. We do not have information about Green Belts in Scotland or Northern Ireland, but a Green Belt is proposed around the City of Cardiff. For more information search on www.Google.com for ‘Cardiff’. 2. Housing pressures. As an example, see East of England Plan section below. There is a similar picture for more housing in the South East of England (Kent, Surrey, Sussex etc) where the government is asking for 500,000 more houses. 5. Inappropriate development which is not in accordance with PPG2, and reduces the openness of Green Belt land. The East of England Region comprises the counties of Norfolk, Suffolk, Essex, Cambridgeshire, Hertfordshire, & Bedfordshire. Car ownership has grown enormously in the 40 years from 1951 to 1991. In that period, the population of Hertfordshire had less than doubled. However, the number of cars had grown from 40,000 to 450,000 – more than 5 times the rate of growth in population. 40% of households have two or more cars. Traffic flows are 35% higher than the national average. – Travellers to and from Stansted and Luton airports, and going via the M25 to Heathrow and Gatwick airports. – Channel Tunnel generated traffic to and from the rest of the country via the M25. – Railways crossing the county going into the London terminals at Kings Cross and Liverpool Street. Milton Keynes & South Midlands Strategy 2005-2021. – protecting and improving the Green Belt (19,000 hectares added nationally since 1997). Review the existing Green Belt around Luton, Dunstable, Houghton Regis and Leighton Linslade. Any land taken out of the Green Belt will be replaced. Note the last sentence (our underlining). This goes against one of the basic features of Green Belts, namely their permanence. This is not a political point as such, but this government seems to be ignoring this basic reason for the creation of Green Belts. Green Belts are not there to be moved just to satisfy short term planning demands. Quotation by Sir Winston Churchill – “We shape our environment and then our environment shapes us”.